In mammals, neural stem cells (NSCs) generate neurons constitutively throughout the adult life and are located mainly in two neurogenic niches, the subventricular zone and the subgranular zone. NSCs are essential for the proper function of the adult brain, and they also account for a promising source of new cells able to counteract brain injuries found in Parkinson’s disease, Alzheimer’s disease, among others. This ability opens avenues for the use of stem cells as promising therapeutic tools for brain pathologies. Here, the basic concepts regarding adult neurogenesis and the composition and regulation of the neurogenic niches will be explored. 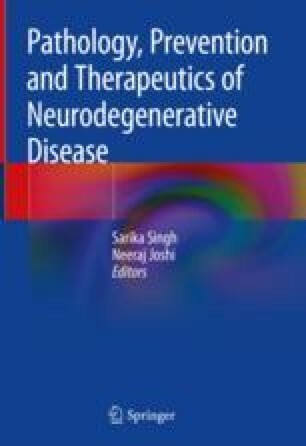 The role of neurogenesis in Parkinson’s disease (PD) and Alzheimer’s disease (AD) as well as some examples of valuable therapeutic strategies employing stem cells and nanomaterials will also be scrutinized. Cláudia Saraiva and Tiago Santos contributed equally to this work. This work was supported by Fundação para a Ciência e a Tecnologia (FCT) (SFRH/BD/90365/2012), by FEDER funds through the POCI—COMPETE 2020—Operational Programme Competitiveness and Internationalisation in Axis I—Strengthening research, technological development and innovation (Project POCI-01-0145-FEDER-007491), the National Funds by FCT—Foundation for Science and Technology (Project UID/Multi /00709/2013) and ‘‘Programa Operacional do Centro, Centro 2020” through the funding of the ICON project (Interdisciplinary Challenges On Neurodegeneration; CENTRO-01-0145-FEDER-000013)”. The authors declare no conflicts of interest to disclose.